« Review: The Day of the Doctor, or, how Steven Moffat split the fandom. Especially in this Blu-Ray restoration, the sets and props on board the Enterprise look fantastic, and they truly were ahead of their time. We can see here that the sets were re-touched and improved since “The Cage” and “Where No Man Has Gone Before“, and the uniforms also look much better over those shown in the pilots. 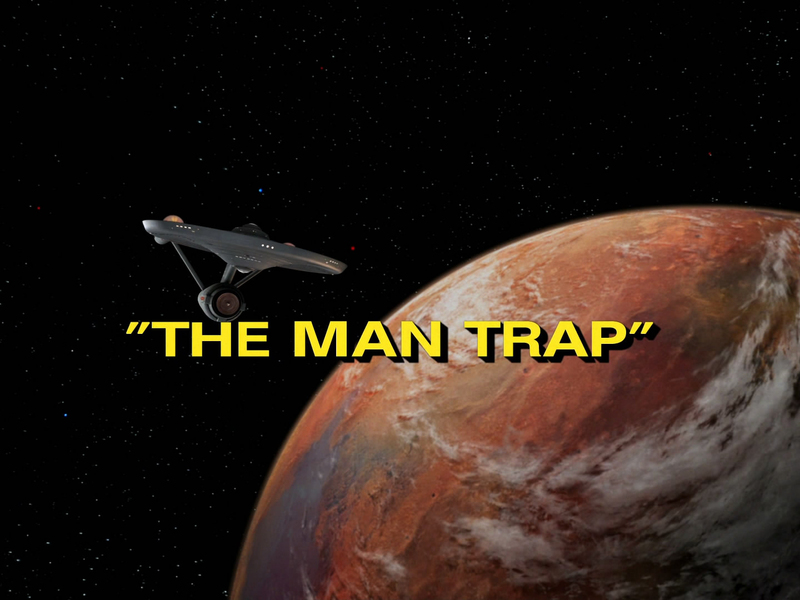 The plot itself in “The Man Trap” will likely seem pedestrian to many at this point, and indeed the episode does not make any effort to hide its mystery from the audience, only from the characters themselves. What at first seems like a tragic accident escalates into a true threat that the Enterprise crew investigates with fervor. Particularly great is Kirk’s reaction to losing a crewman: he flips the switch from being calm and charming, to curt, terse, and brash, and he will not accept anything less than a full understanding of what is preying upon his crew. William Shatner is undeniably fun to watch when he engages into full Kirk-ness. Aside from these entertaining Kirk moments, the episode drags quite a bit. There just isn’t enough story to pad out the hour, so we are left with a lot of filler material. Maybe if the characters were better developed at this point, there would have been more to work with. As is, it’s fairly hum drum. Far from the worst the series has to offer, but I consider it below average nonetheless. Saving the episode some dignity is the presence of a low key allegory, as the Salt Vampire is compared to the North American Buffalo. While the episode does not go into great detail about the precise circumstances that caused their demise, aside from the lack of a natural salt supply on planet M-113, the comparison made by Professor Crater does seem to suggest that perhaps at one point the Salt Vampires were hunted like the buffalo. The Enterprise crew does acknowledge the unfortunate need to kill the last surviving member of this race out of self-defense, and recognizes that while the extinction is tragic, there was also no other choice in the matter. For the sake of making the episode more interesting at least, it might have been worth examining more about what caused these creatures to go extinct, or if they used to have a civilization of their own, but these ideas are never explored. Another theme that resonates through the episode is one of loneliness, and how time spent out in space or on a distant frontier world can take a toll on the psychological well being of lifeforms. Out of loneliness, Professor Crater accepted a shapeshifting replacement for his wife, and the Salt Vampire in turn accepted his companionship, no doubt in great torment over being the last of its kind. Dr. McCoy and other crew members of the Starship Enterprise also willingly fall into “The Man Trap” due to the loneliness and isolation of their long mission. I think the best compliment I can pay to the “The Man Trap” is that it offers a glimpse into the life of these beloved deep space explorers, and how the things they encounter begin to build them into the family that they would later become. nice, I’m always so glad that I can put on a tos episode, even the subpar ones are still a great time! 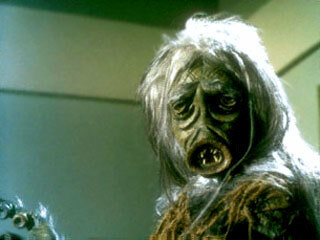 I agree Peter, I have yet to find an episode of TOS that I flat out can’t stand. Of course when it comes time for me to re-watch Season 3, I may change my stance on that. Great review. I hadn’t thought of the buffalo allegory. Keep up the good writing!